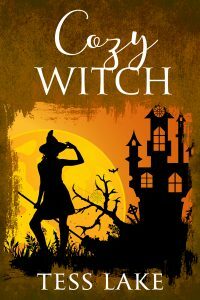 Cozy Witch (Torrent Witches Cozy Mysteries #8) now available! Book #8 of the Torrent Witches Cozy Mysteries series now available at Amazon. Loved this series. Can’t wait for the next book! Thank you so much! The series is all finished up now – Wicked Witch is the finale! Love this book!!! Wondering when we can expect the next book in the series because I just can’t wait!! I’m in love with the series!!! Thank you so much! The series is done now and all books are out! When are the audiobooks coming out??? The final four are in production now! Will be coming out over next four months! Loved the series. Are you working on something new? Hi! I am working on something new. Progress is slow but once I’ve worked out the deeper story it’ll hit high speed!